Winter is heading our way fast, so it’s time you started thinking about how you’re going to prepare your car. Read on to find out what to do. This is something that you should definitely think about if you’re planning on taking long journeys over the winter. Of course, nobody wants to get stranded in some kind of unexpected snow storm, but if you live in an area with extreme conditions in winter, it’s possible. So, it might be a good idea to keep a few blankets, a few bottle of water and some tinned food in the car in case the worst does happen. This is a sensible move, and you certainly won’t regret it if you do find yourself stranded in winter. If you ask me, the best time of year to get those niggling problems with your car fixed is just before the worst of winter hits. That means now! This is the best time of year because the winter has the effect of making minor problems into major ones. So, if you get the work done now, you could save some money. If you leave it until next year, those problems will get even worse and the bill you receive at the end of it all will probably be a lot bigger. So, do the sensible thing and get those problems fixed. Replacing the antifreeze in your car’s cooling system is something that should be done once every few years. It’s best not to leave it longer than three years without changing it. But you don’t want to do it too often either. So, if it’s been awhile since you did this, get it done before the car starts to ice up. Having new antifreeze coolant in the system will make driving on those freezing cold days that little bit easier. To replace the antifreeze, you need to flush the system and put the new antifreeze in; it’s not a difficult thing to do. Not many people think about switching their tyres for winter tyres, but it’s something that everyone should consider. It allows you to drive safely throughout the winter and avoid skidding. Winter tyres have better tread on them, making them much better at gripping the road. Summer tyres or normal all-weather tyres are much worse at doing this, so it could be worth making the investment. You can find winter tyres for sale online, so start browsing the options today. 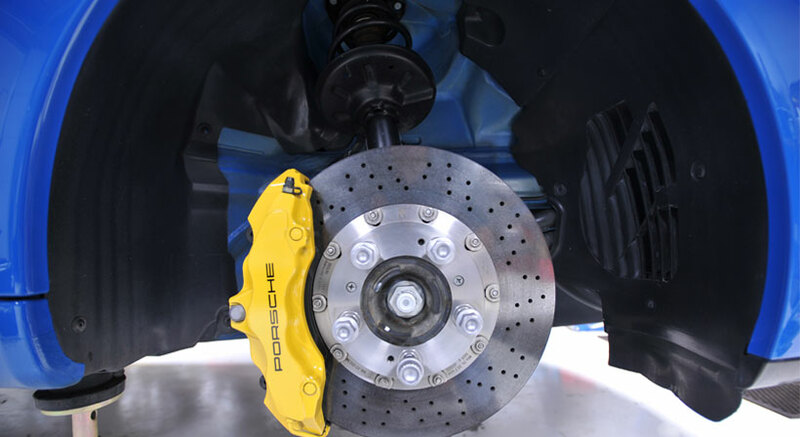 A car’s most important safety feature is the braking system. If that’s not working, then you have big problems. And even a small braking issue can cause you huge problems when you’re trying to drive on icy roads. Even if you think the braking system is fine, I’d still recommend having it checked before winter really starts to bite. You’ll regret it if you don’t because skidding on ice due to problematic braking systems is a big issue on our roads during winter. Hopefully, the mechanic will be able to reassure you that they’re in good shape.